PROJECT DESCRIPTION: To transfer storm water from a creek and adjacent river during periods of high water, storms and spring thawing. The stormwater from the creek contains a large amount of debris and sticks. Gregerson's Colorado Dairy Farm, running 1,500 head, moves liquid manures, fluids and sludges with four Crisafulli pumps: two electric vertical pumps, a six-inch PTO trailer mounted pump, and a 7.5 horsepower electric lift pump. 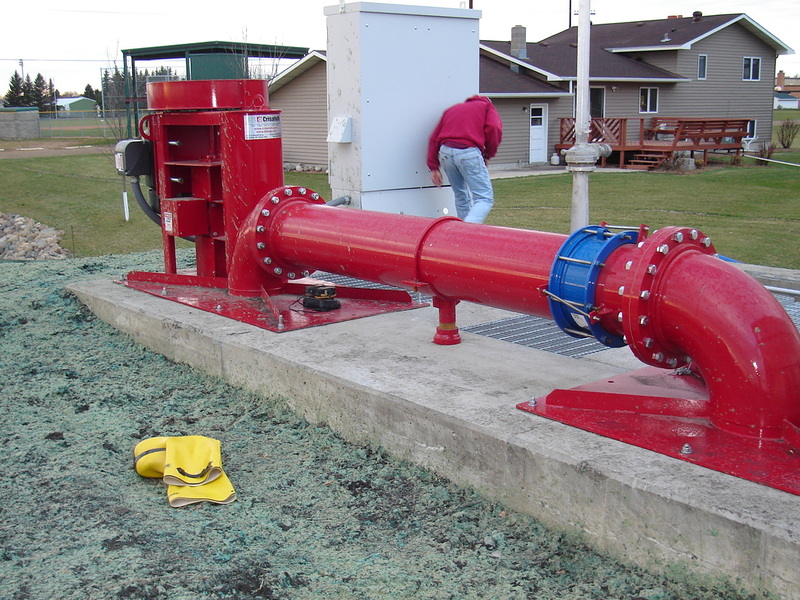 U.S. Army Corp of Engineers and 27 Crisafulli Vertical Pumps in sizes ranging from 10" to 16" for flood control applications along the Red River Valley of the North. Iowa Department of Natural Resources purchased a Crisafulli 16" L-Series vertical pump, dual drive (gear and belt), and accessories.